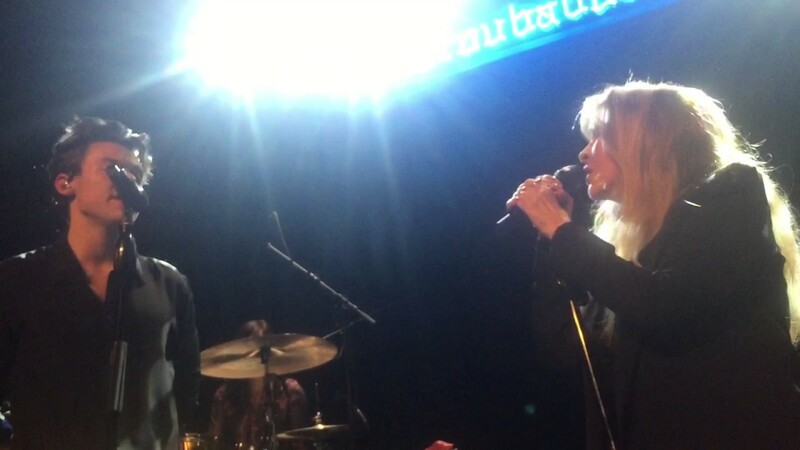 Harry Styles is a massive Fleetwood Mac fan and was overwhelmed when he got the chance to sing with Stevie! The popstar was joined by music legend Steve Nicks at his LA gig on Saturday night (20th May). The Fleetwood Mac legend joined the former One Direction member on stage for a handful of duets including the 1975 song 'Landslide'. "I'm pretty sure that this was going to be up there with one of the best nights of my life," the 23-year-old told the audience at the Troubadour. "If there was any doubt, I'm pretty sure I'd like to confirm, in my entire life, I never thought I'd be able to say this. Please welcome to the stage, Stevie Nicks."